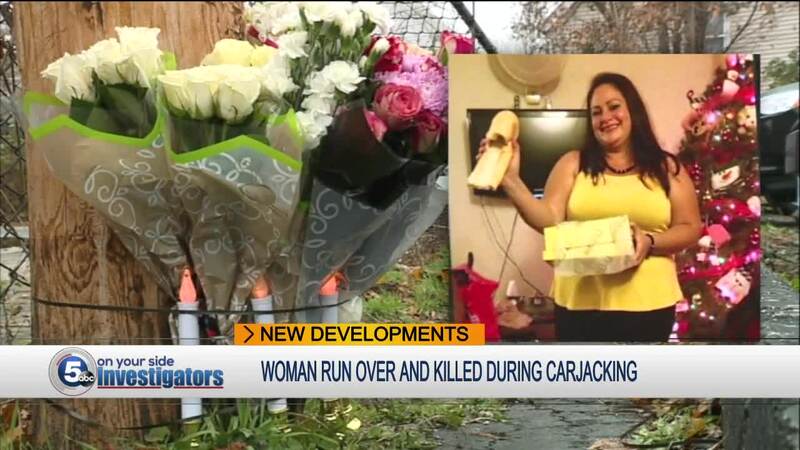 Family members say a mother of two who was run over and killed by car thieves came to Cleveland two years ago trying to escape crime in her hometown in Puerto Rico. Lesley DeJesus was inside United Archwood United Church of Christ with her husband and two kids around 2:30 p.m. Thursday afternoon when her family noticed thieves breaking into DeJesus' minivan. Police say DeJesus and her husband went to the church's parking lot and confronted the men. That's when witnesses say she was run over and killed by her own vehicle right in front of her children. The van was found nearby, but police say the killers were gone. Friday afternoon, the family came to the church to mourn DeJesus. They remembered the 33 year old as loving and the glue that kept the family together. In fact, her uncle says, DeJesus was at the church to paint in preparation for her daughter's birthday party this weekend. Now relatives are planning a funeral. "It's sad," said David Perez, DeJesus' uncle. "It's sad to know our neighborhood changed too much. I lived here in Cleveland for 24 years almost, and I never saw too many crimes until now. This city is our city. Let's go stop it. Whatever you guys see, stop, call the police right away." Crime Stoppers is offering a $5,000 reward for information leading to an arrest in the case.